Franklin pros abound in the Mid-Summer Classic, and we’ve got the close-ups right here. 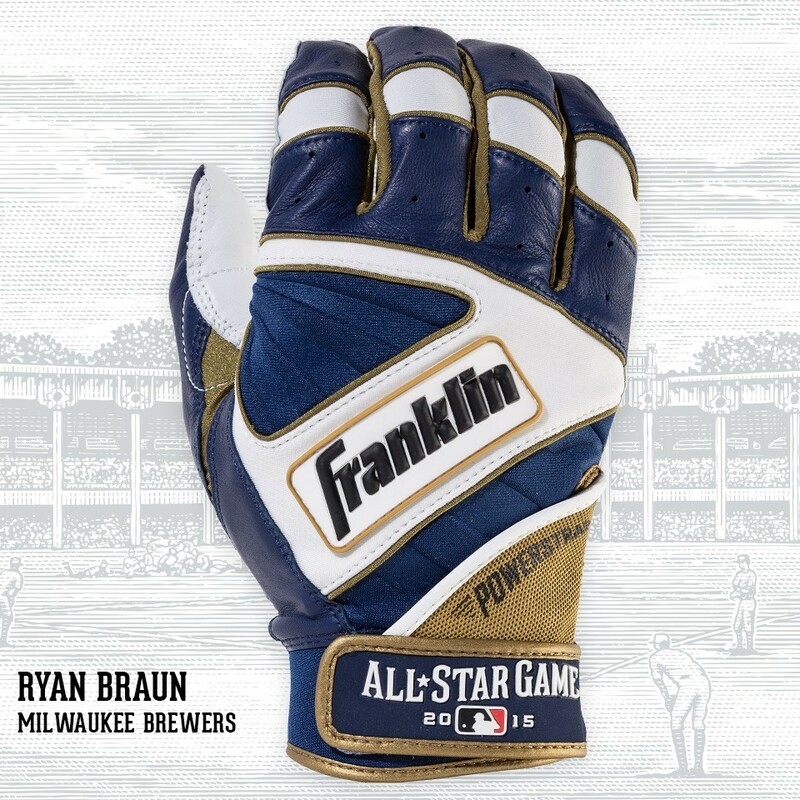 Where last year Franklin made all of their All-Star exclusives available in limited very limited quantities, this year Franklin is using the big stage to show off a new feature on their gloves, the Powerstrap (Patent Pending). 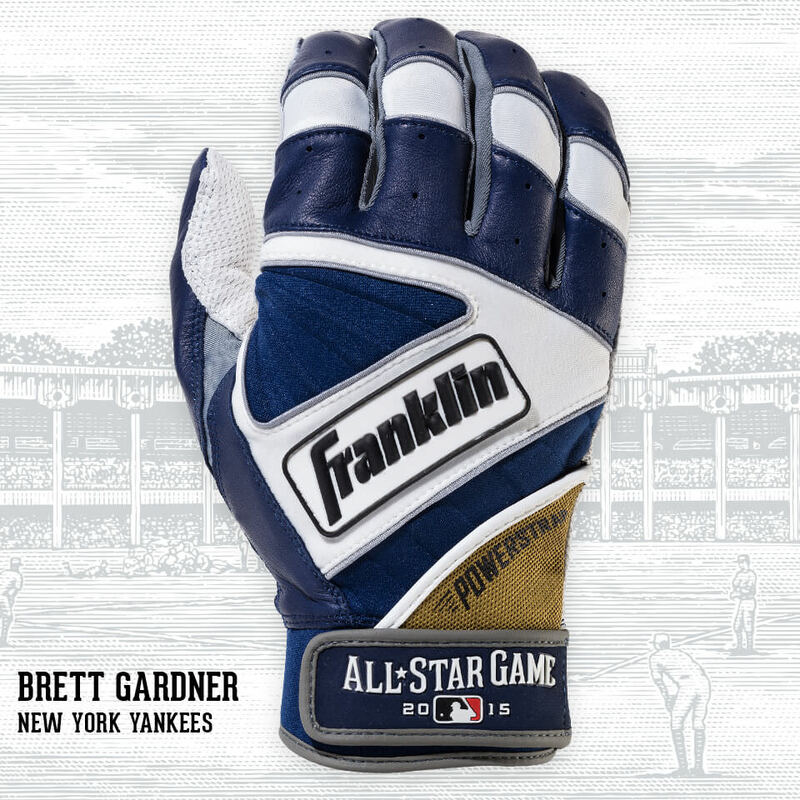 Franklin tells WPW that this is a feature that will be available to the public in 2016, and we don’t have much detail on what exactly it is. With an up close look at it, however, we think its pretty clear. The Powerstrap is for superior wrist compression. You see all the pros wrapping their wrists, which is a way to strengthen their swing and stiffen that moment of impact with the baseball. 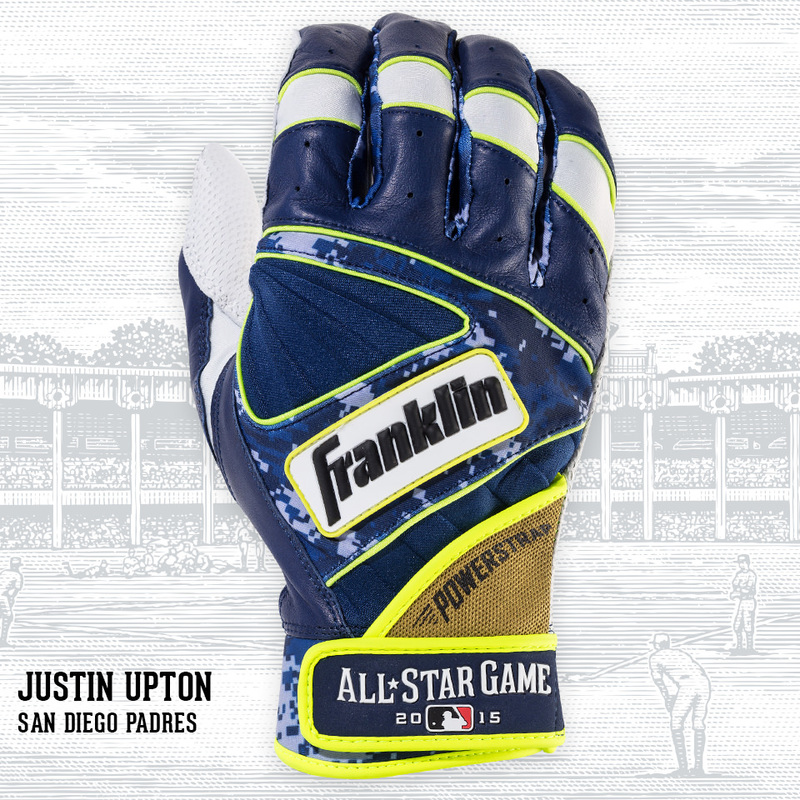 A huge number of Big Leaguers do this, and we think Franklin is working to incorporate that into their gloves. With the Powerstrap, when guys are neurotically re-tightening their BG’s after every pitch, they’ll get a more complete compression wrap around their wrists. 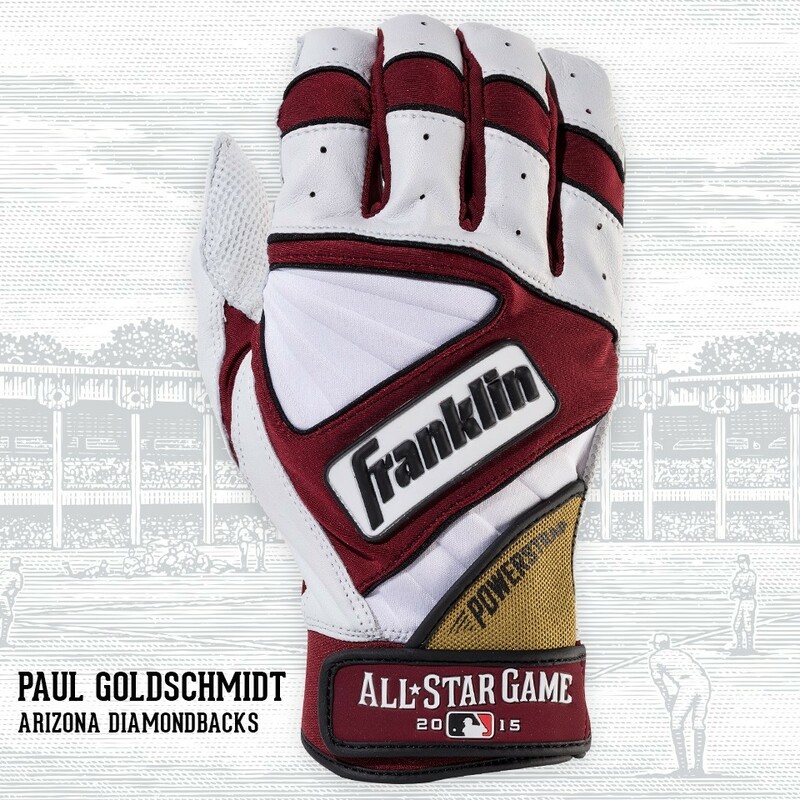 I believe the strap is to address the issue with the bottom hand gloves thumb being torn open by the excess hole on the bottom of the top glove. 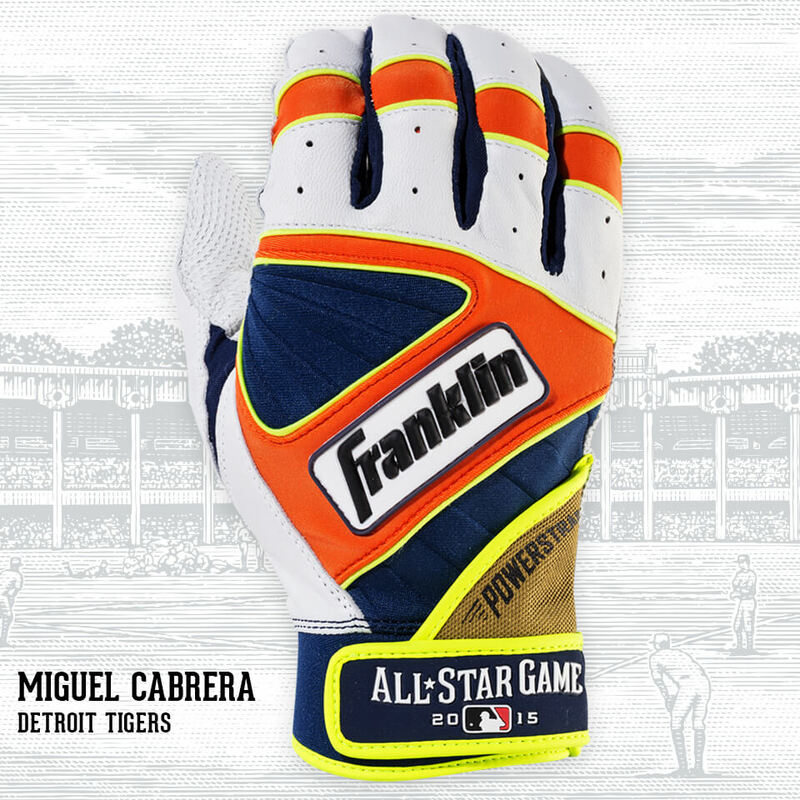 This was my only problem with the gloves and this seems to address that issue. Looks like some of the grips are CFX Pro style and some are Natural II style. 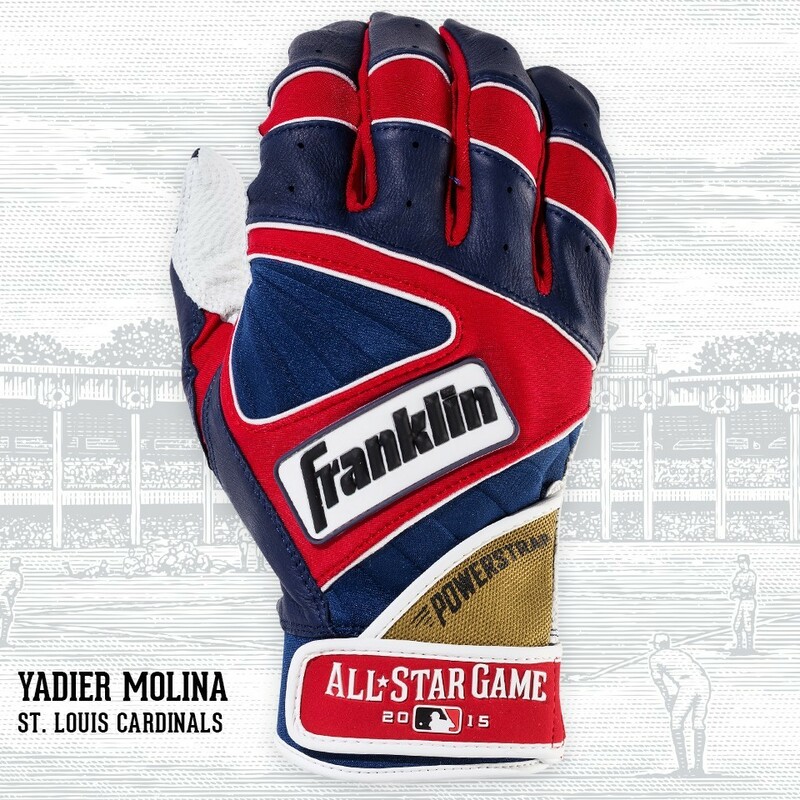 It’ll be interesting to see if the power strap is just a new feature on the ’16 models of those gloves or if it’ll be a singular model with a choice of grips. 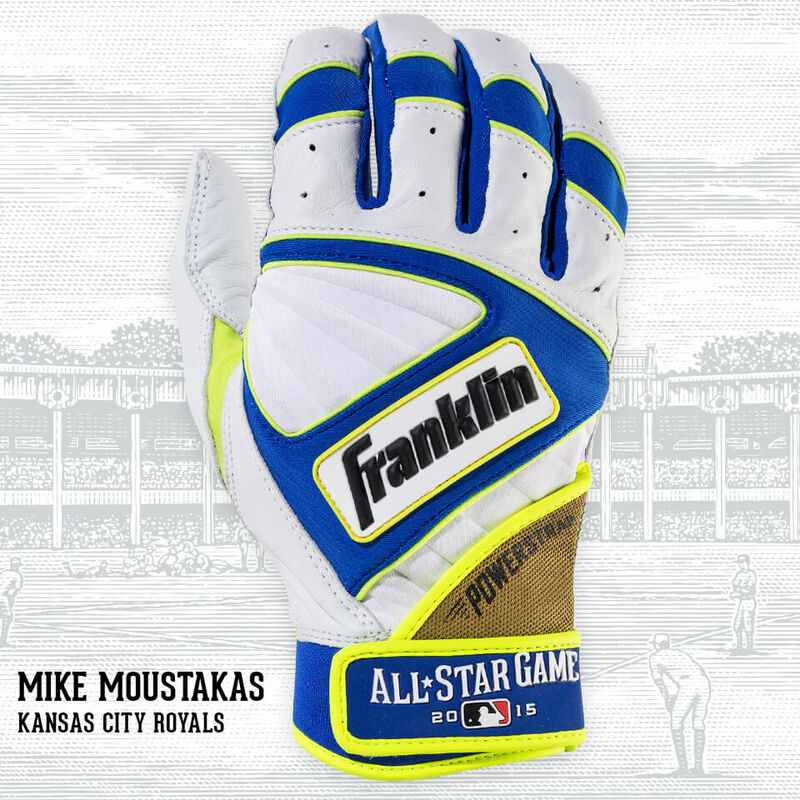 I know CFX is more popular, but a few guys (like Moustakas) use Natural II. 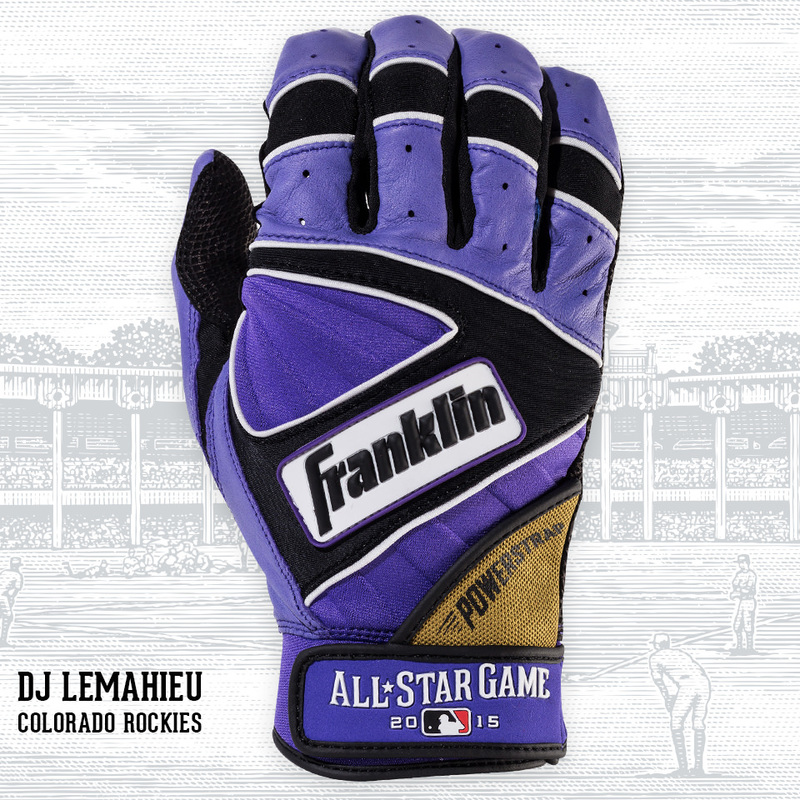 I myself strongly perfer CFX digital leather for grip and feel. 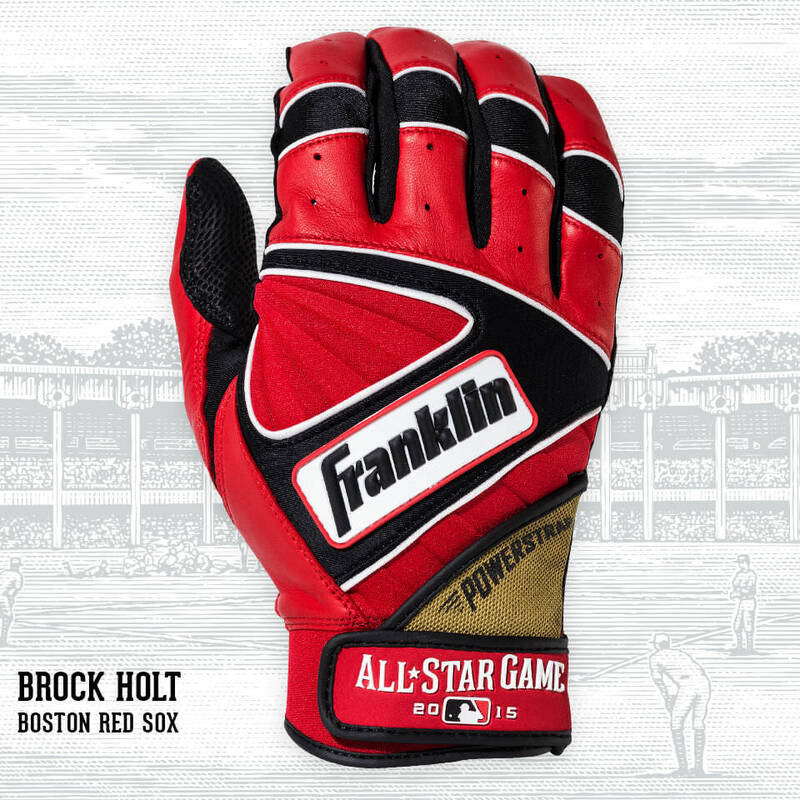 These gloves all use the Natural II style slant logo.